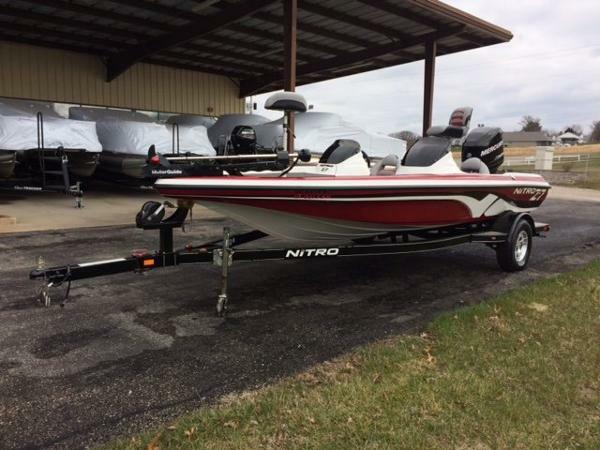 2014 Nitro NITRO Z Series Z-7 2014 Nitro Z Series Z - 7 Nitro Dual Console Bass Boat From stem to stern, the Z-7 performance bass boat from NITRO® crams more value into its 18' 8" (5.69 m) length than any other boat in its class!Whether you take yours out on a weekend run with a buddy (don’t forget to install the optional removable port console at home!) 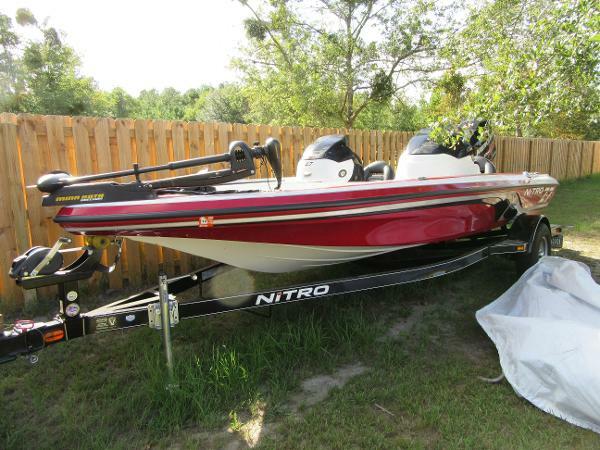 or use it to compete in a fast-paced tournament on a lake in your area, you’ll have all the gear, electronics and accessories you need. All right at your fingertips! 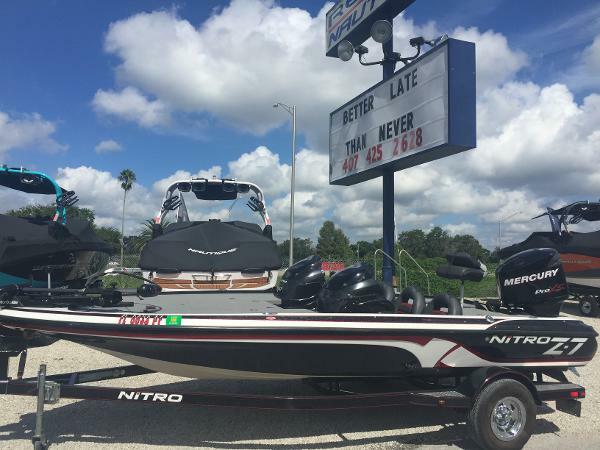 2015 Nitro Z Series Z-7, It's the world's best-selling performance bass boat. And it's easy to see why. 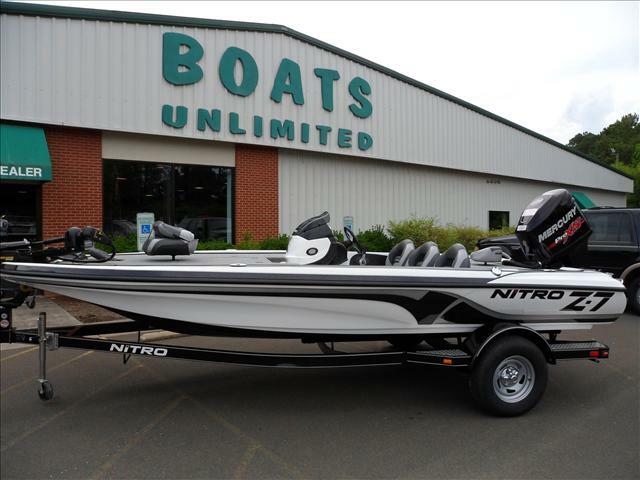 The celebrated NITRO® Z-7 is the stuff champions are made of-an 18' 8" (5.69 m) powerhouse driven by 150 horses and outfitted with an eye-popping load of accessories that can help transform you from Joe Angler into a tournament winner! A new user-friendly console kit with Veethree multi-function gauges gives you more control over the boat. The 16° variable deadrise hull sports our legendary Rapid Planing System for super-fast hole shots to rocket you up onto plane in an instant when hopping between fishing holes. or racing to the weigh-in. 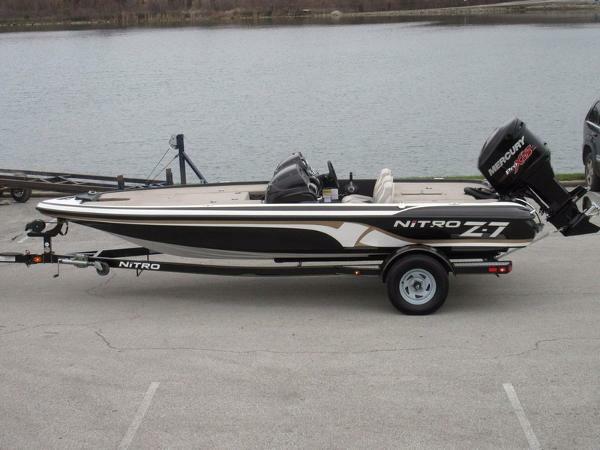 The Z-7 sports large storage compartments fore, aft, and center, and will store rods up to 8' long. New Whitecap compression latches lock out moisture. An optional, removable port console will protect a passenger or co-angler from wind and spray. 3-across seating w/steps to aft deck lets a trio of anglers ride in comfort. New LED courtesy lights. This and so much more. 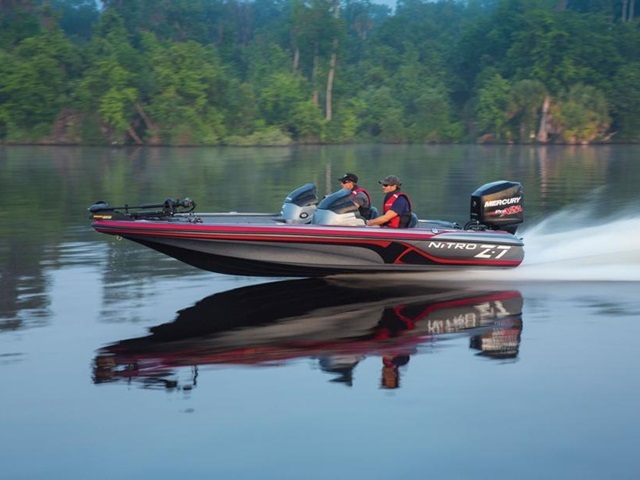 The Z-7 is a super-charged contender that will help propel you past the competition-and it's also at home on a still lake at sunrise while you toss topwaters at the shore. 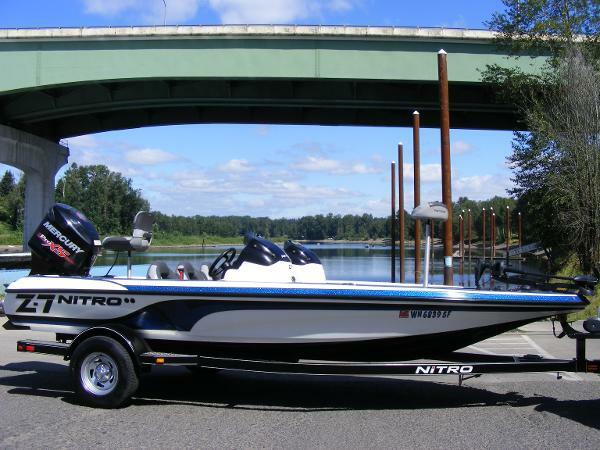 It will deliver a tournament-style fishing experience whatever waters you ply. And it's perfectly matched with a Custom trailer with GALVASHIELD® corrosion protection, swing-away tongue for shortened storage length, and Vortex hubs for easy maintenance.